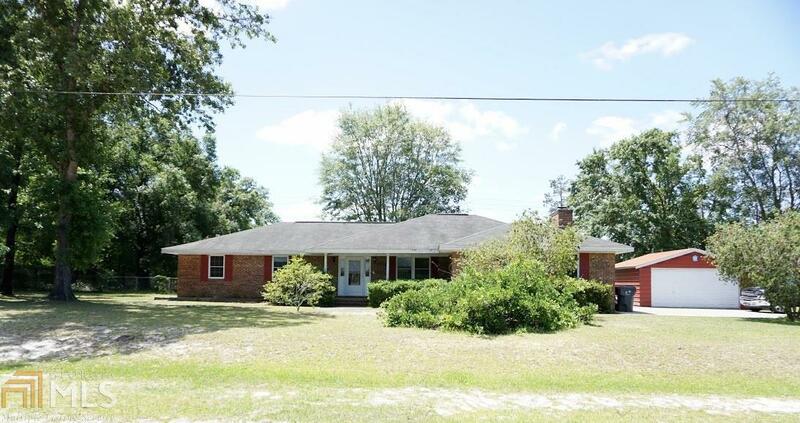 Pull up to this beautiful brick home in Folkston on over an acre of land with covered front and back porches! Inside are 3 good sized bedrooms, living room, dining room, and family room with fireplace! Through the side door you will find the extra large utility room before entering the two car garage. Outside is a 20X20 separate metal garage. Backyard is fully fenced with a double-gate. Enjoy the ease of pulling your RV or boat into the backyard.